1. This promotion is only for first time (NEW) players, who register an account with Evobet and only for Sportsbook. 2. Once the player registers an account, he needs to contact Customer Support via Live Chat or email (support@evobet.com) to claim the 100Kr FREEBET. 3. FREEBET must be placed on a Single Bet of at least odds of 2.00 and within seven (7) days from the date FREEBET Bonus activated. 4. Max winnings from the FREEBET is 200Kr. These winnings are subject to wagering of one (1x) time on odds of 2.00 and above. 5. After that, player needs to place his 1st deposit and get the Welcome Sports Bonus up to 1500Kr. 6. Minimum deposit eligible for the Bonus is 200Kr. 7. All Welcome Sports Bonus terms apply. 8. You can only benefit from the Welcome Sports Bonus ONCE and ONLY on your first deposit. You have to contact support before to claim the bonus PRIOR to your deposit. 9. 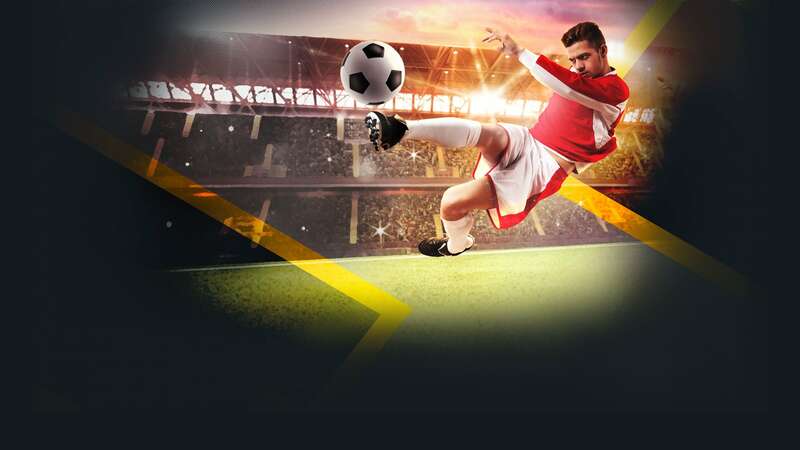 Welcome Sports Bonus is subject to wagering requirement of ten (10) times both the Deposit and the Bonus amount on minimum odds of 2.00 before attempting any withdrawal. Any bets placed on odds less than 2.00 will not count towards wagering. We hold the right to void such bets and forfeit any winnings from them. For "Multiple" bets, all of the selections must be at least odds of 2.00. 10. "System" and "Chain" bets will not be counted towards wagering requirement. 12. Once the Bonus is activated, the wagering requirement has to be completed within a maximum of 30 days, otherwise bonus and all generated winnings will be lost. 13. Any kind of similar bets will not be counted towards wagering requirement. 14. Bets on Baseball, Tennis, Handicap or Draw no Bet will not be counted towards wagering requirements. We hold the right to void such bets and forfeit any winnings from them. 15. Countries that are excluded from the Welcome Sportsbook Bonus are the following: Serbia, Bulgaria, Montenegro, Estonia, Indonesia, Belarus, Moldova, Armenia, Cyprus, Azerbaijan, Russia, FYROM, Republic of Korea, Ukraine, Greece, Croatia, Nigeria, Slovenia, Poland and Latvia. 16. Deposits with SKRILL/NETELLER are excluded from this offer. In case you use one of these methods to claim your bonus then bonus and all generated winnings will be deducted from your account. 17. In order to get the EXTRA FREEBET, you need to first play with your initial Welcome Sports Bonus. After finishing with this, you need to contact our customer support at support@evobet.com or via Live Chat in order to get the extra 20% as FREEBET. 18. Only the actual winnings from the FREEBET will be added to your account. 20. Only 1 person per household or IP Address may claim the registration bonus. Other household members may still register and be eligible for other bonuses and promotions. 21. Players will be asked to provide identification documents (KYC) to validate their identity. Failure to provide documents if requested may lead to forfeiture of bonus and/or winnings; also withdraw requests will be disabled till players get verified. 22. By accepting the bonus, the player automatically accepts the terms and conditions of the bonus credited. 23. Evobet reserves the right to modify, cancel or terminate the promotion at any time. 24. In case of a dispute, the decision by Evobet is final. 25. General Terms and Conditions apply.